Nov. 7, 2017 1:25 p.m.
Roy Halladay, a two-time Cy Young Award winner who pitched a perfect game and a playoff no-hitter for the Philadelphia Phillies, died Tuesday when his private plane crashed into the Gulf of Mexico. He was 40. Pasco County Sheriff Chris Nocco said during a news conference that Halladay’s ICON A5 went down around noon off the coast of Florida. The sheriff’s office marine unit responded and found Halladay’s body in shallow water near some mangroves. No survivors were found. 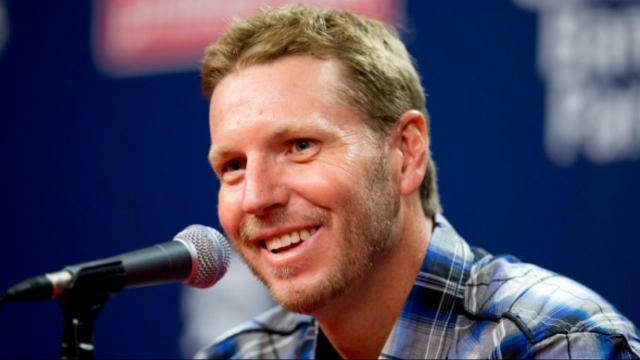 Halladay, who retired after the 2013 season, was an amateur pilot who often posted on social media about small planes. Other baseball players to die in plane crashes included Pittsburgh Pirates star Roberto Clemente in a relief mission from Puerto Rico travelling to earthquake victims in Nicaragua on New Year’s Eve in 1972; New York Yankees catcher Thurman Munson piloting his own plane near his home in Canton, Ohio, in 1979; and Yankees pitcher Cory Lidle piloting his own plane in New York City in 2006. “Many of you know Roy as a Cy Young winner, future Hall of Famer, one of the best pitchers ever to pitch the game of baseball,” said Pasco County Sheriff Chris Nocco, who personally knew Halladay. Nocco said Halladay knew many members in the sheriff’s office, and that Halladay was even a part of a charity fishing tournament last Friday. Halladay was an old-style workhorse who pitched 67 complete games and 20 shutouts. A three-time 20-game winner, he was an eight-time All-Star with Toronto (1998-2009) and Philadelphia (2010-13). Halladay pitched a perfect game for the Phillies at the Florida Marlins on May 29, 2010. That Oct. 6, against Cincinnati in the NL Division Series, he became only the second pitcher to throw a post-season no-hitter, joining Don Larsen, who accomplished the feat for the New York Yankees in the 1956 World Series. The right-hander retired after the 2013 season, saying he wanted to avoid back surgery. He was eligible for the Hall of Fame in 2019. Former pitcher Dan Haren tweeted that “I wanted to be Roy Halladay. I’m heartbroken, rest easy Doc ,” then posted a photo of a signed Halladay jersey .